If it hadn’t been such a dreich weekend we would have driven to the Japanese Garden at Cowden as it has just opened for the new season and I imagine that the cherry trees will be at their best now. We went there last September for the first time and the autumn colour of the acers was lovely and we promised ourselves we’d go there again in the spring. If the weather cheers up this week we will go there. 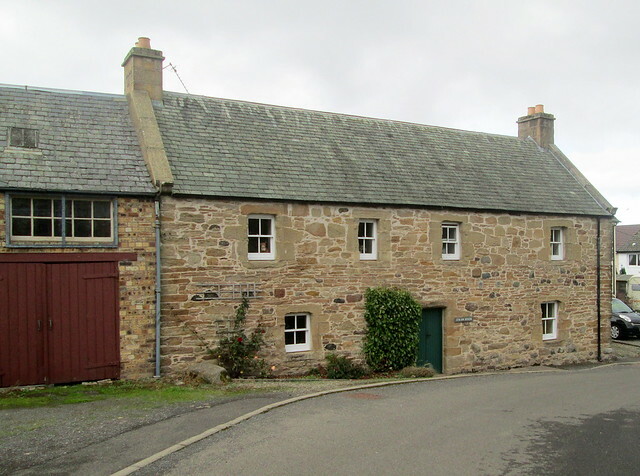 Anyway, thinking about that reminded me that I never did get around to writing a blogpost about the village of Dunning which we stopped off at on the way to Cowden – so here goes! 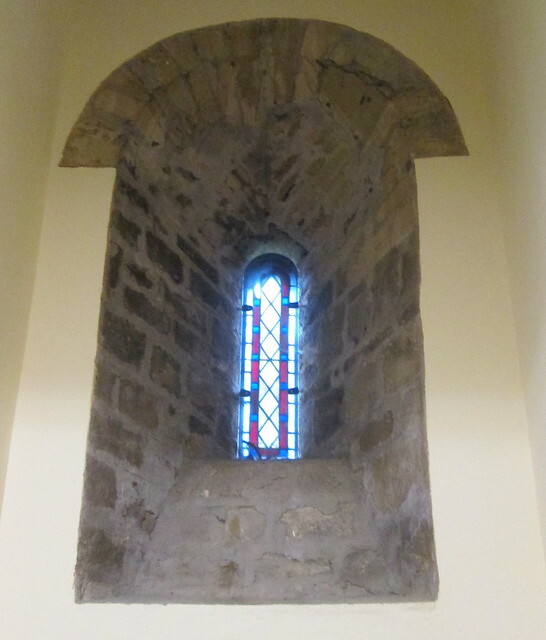 Although I’m not at all religious I do love old churches and St Serf’s in Dunning is certainly old. 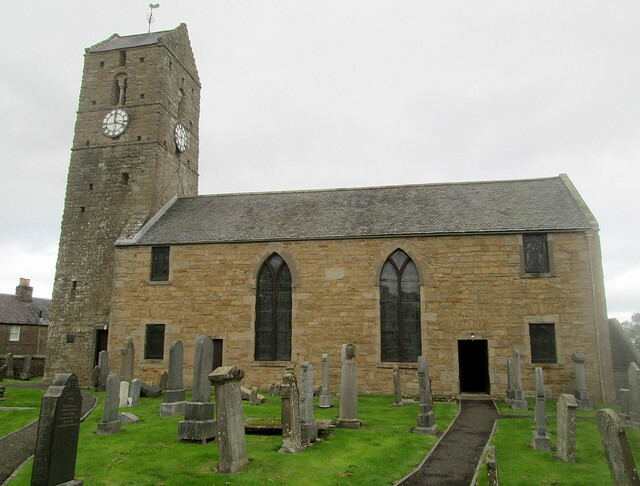 It dates from around 1200 but it isn’t in use as a church now, it’s looked after by Historic Environment Scotland and is open to vistors. Inside the church is really dark and like all such churches it has been extended and mucked about with over the centuries, but it does house a very fine stone cross – the Dupplin Cross which dates from around 800 and is dedicated to one of the last kings of Pictland – King Constantine, son of Fergus. Presumably the decoration on the front is of the king on his horse. The carving on it is still in great condition considering that until 1999 it was outside. As you can see there’s a man playing a harp , he’s thought to be King David. 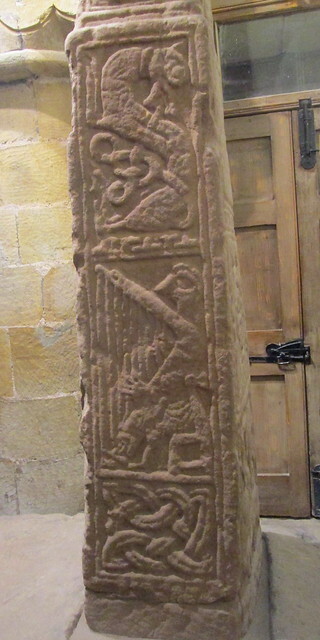 This is the side of the stone. You can read about the church here. 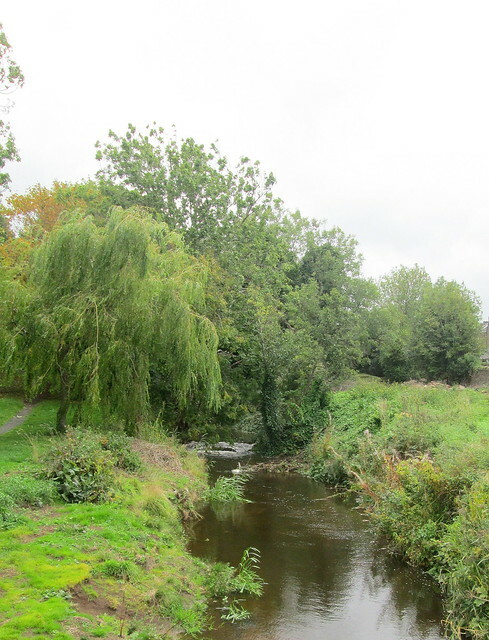 There’s not much nore of interest in the village of Dunning, but there is a pretty wee burn near the church. Someone has put a lot of effort into the garden below. The house beow is called Straw House for some reason. It’s very Scottish and solid looking, it has wee windows so it might not be too difficult to heat – or maybe that’s me just being optimistic on the owner’s behalf! This house is apparently the only house which survived the Jacobean burning of the village in 1716. It seems that we missed quite a lot on our quick trip to Dunning on our way to the Japanse Garden. When we do go back there we’ll have to look for the memorial to a witch burnt at the stake in 1657 and a bit of a Roman encampment. 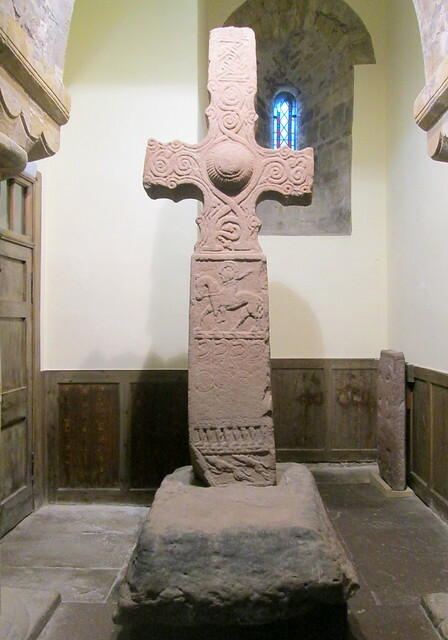 This entry was posted in Architecture, Scottish History and tagged Dunning, Dupplin Stone Cross, Perth and Kinross, Pictish stone carving, St Serf's by Katrina. Bookmark the permalink. There is a Japanese garden quite close to us too, which we visited a year or so back and I keep meaning to write about. It was so beautiful. We were the oppoiste to you – we visited in the spring and always intended to return for the autumn colours. This year, I hope. I think in the 1920s Japanese gardens were all the rage but not many of the originals have survived. 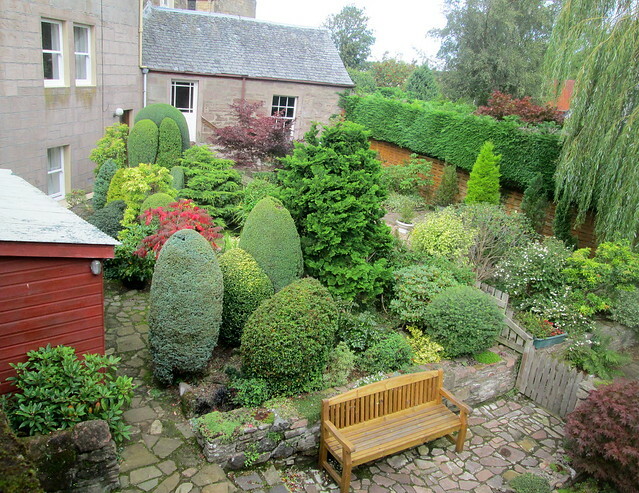 The one at Cowden was designed by a famous Japanese garden designer back then. The autumn colours are definitely worth seeing. Bother, I meant to add that Japanese gardens seem to tunr up in the unlikeliest of places! I’m jealous that you have so many surviving ancient buildings. The stories they could tell! I know, I often think that! A finely-wrought cross, remarkable that it survived so unscathed by time and weather. I think it has been cleaned up since it was outside. I’m sure it must have had moss and lichen on it. It scrubbed up well though!